Why should you care about networking? Focusing on building networks of interests cultural institutions could increase their social impact. They could initiate and facilitate a multiplicity of conversations in the World Wide Web. These conversations could form the foundation for a truly participatory cultural programme. In the workshop you will learn strategies to make sure you are building connections in ways that are intentional and authentic. We will talk about your Networking Mindset and the 3 Characteristics of Effective Networks of Interests. 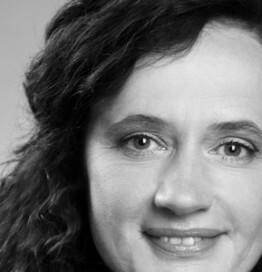 Sabine is Creative Director and Co-Founder of szenum.Berlin, a transdisciplinary platform for developing new models for museums and cultural institutions. Furthermore szenum.Berlin offers individual workshop formats for museums, which support creativity and a new mindset for innovation and leadership in the cultural sector. As a passionate Facilitator, Consultant and Coach, Sabine supports cultural professionals in a cross-disciplinary way to improve their skills in different fields like Creative Leadership, Digital Transformation and Participatory Culture. Since 2001 she works as a lecturer for diverse universities and institutions, and hold an assistant professor post from 2001 til 2005 at Filmuniversity Potsdam-Babelsberg.